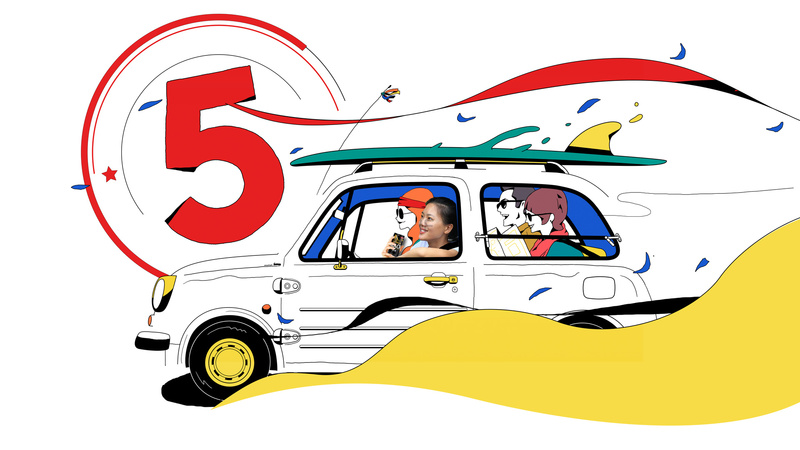 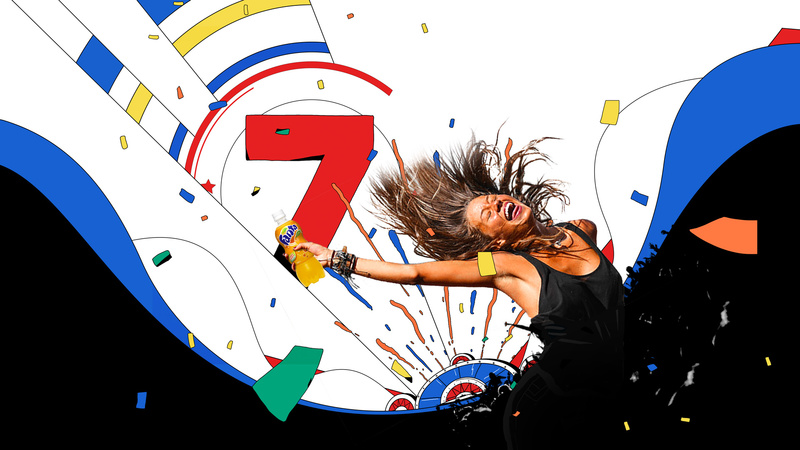 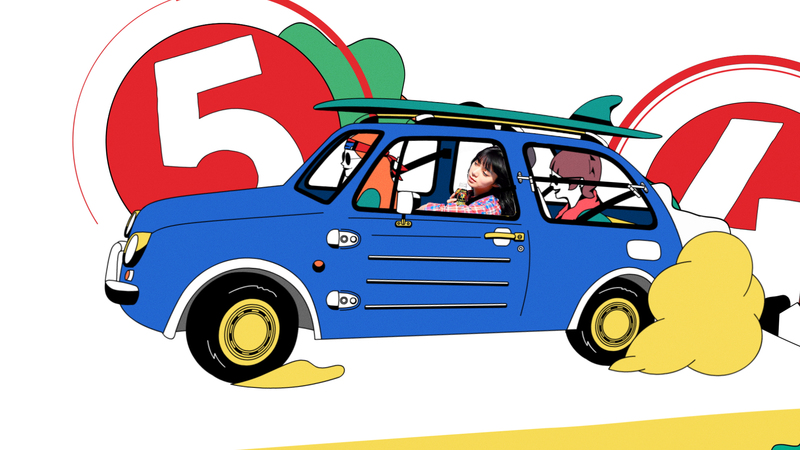 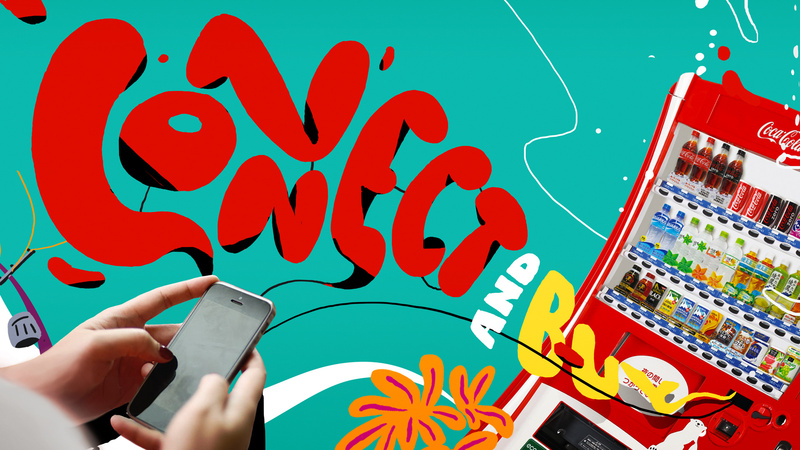 This film is the result of a partnership that united two extreme opposite parts of the globe: Brazil and Japan. 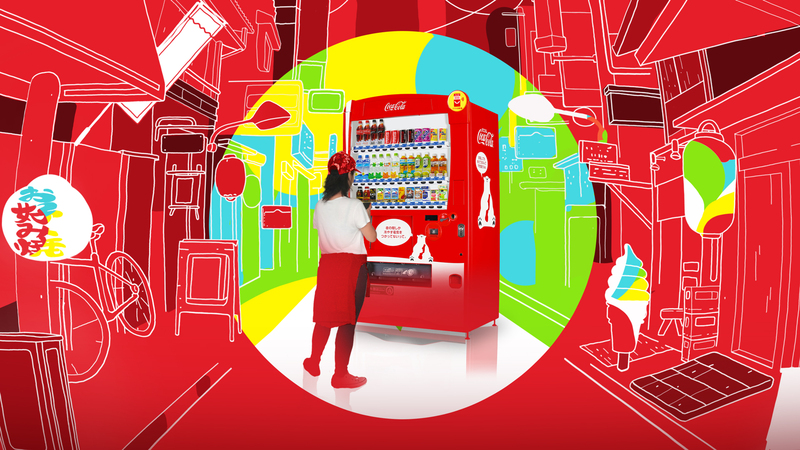 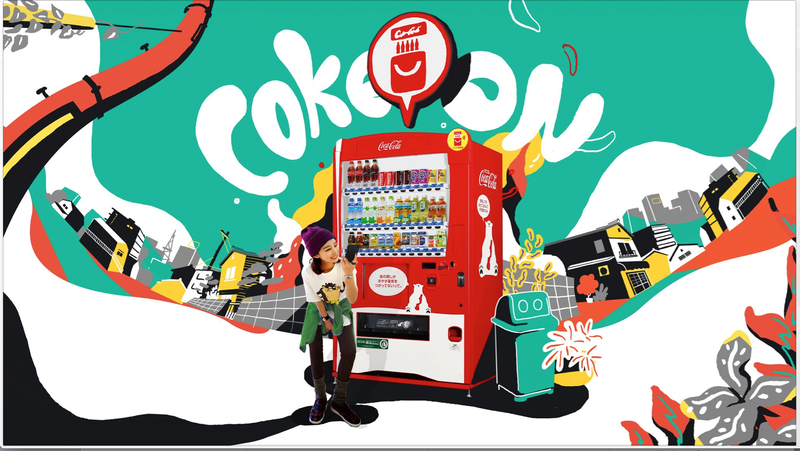 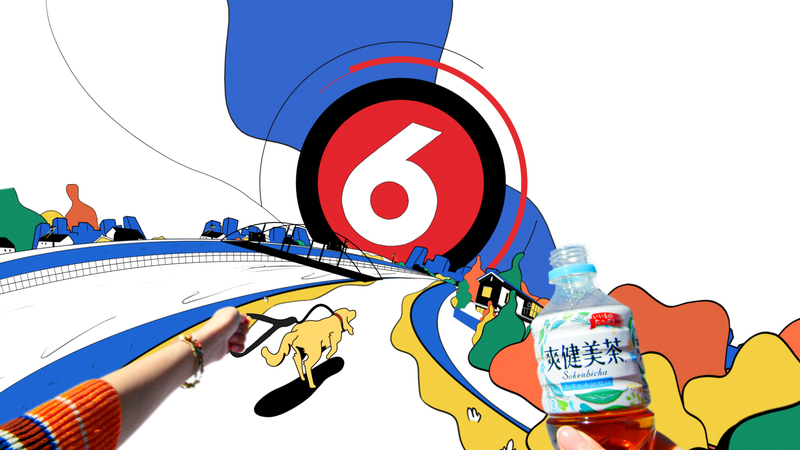 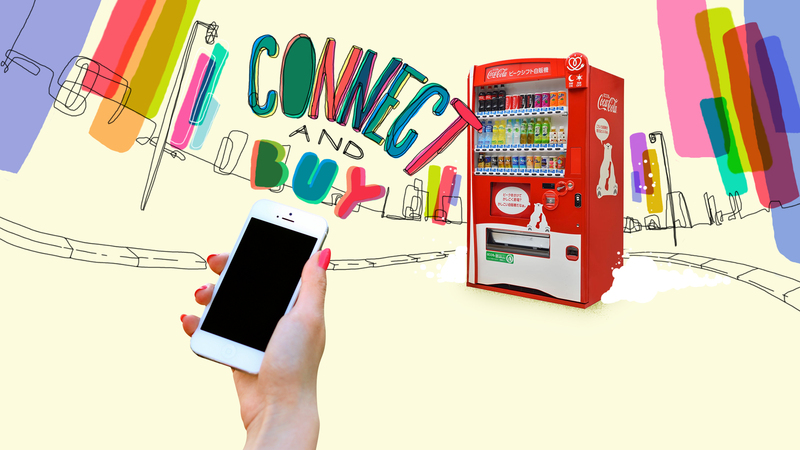 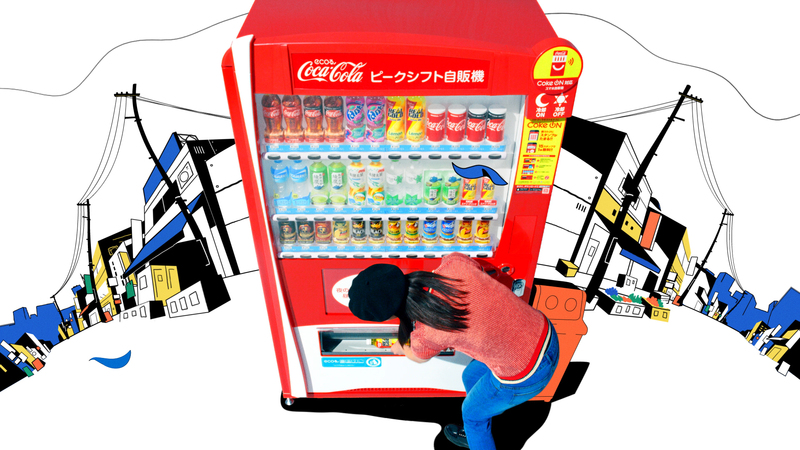 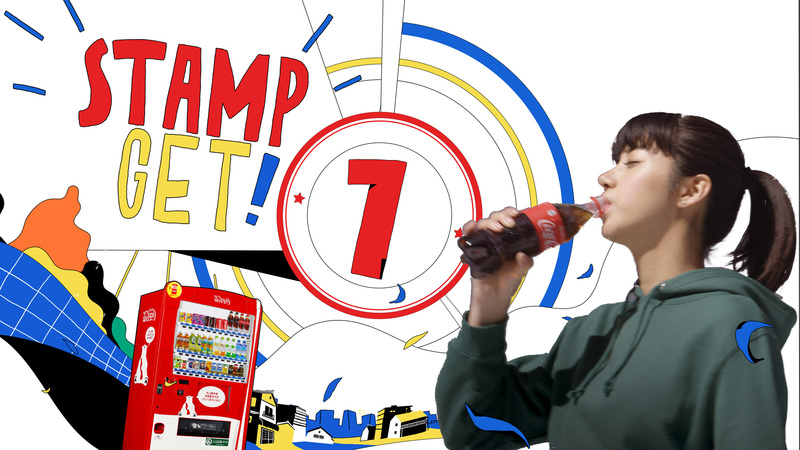 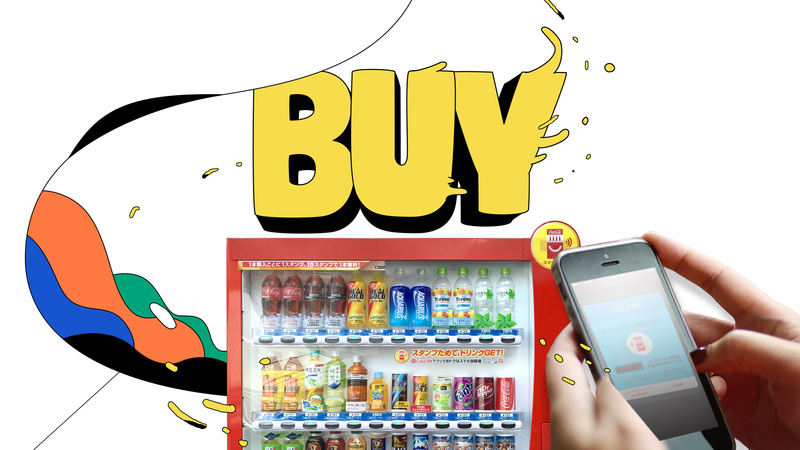 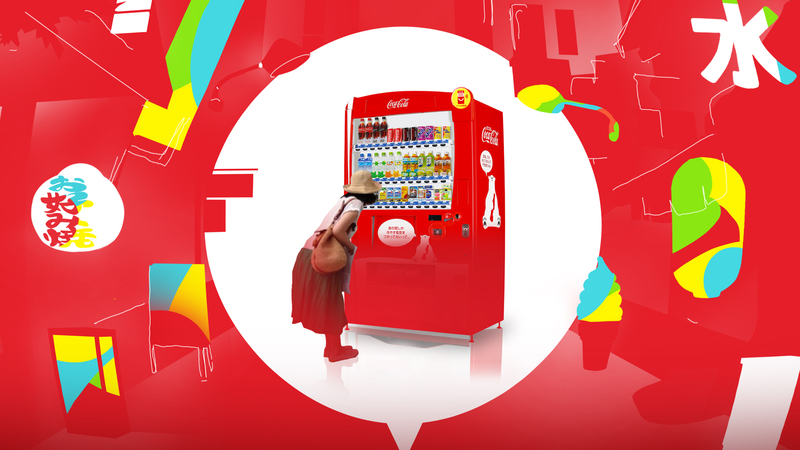 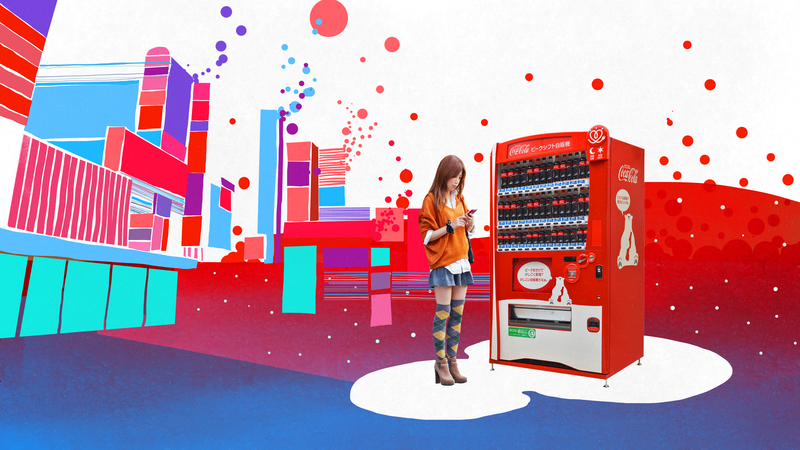 Agency Dentsu created a campaign to launch Coca-Cola’s new Japanese “smart vending machines”, which connect with a smart device and a dedicated app called Coke ON. 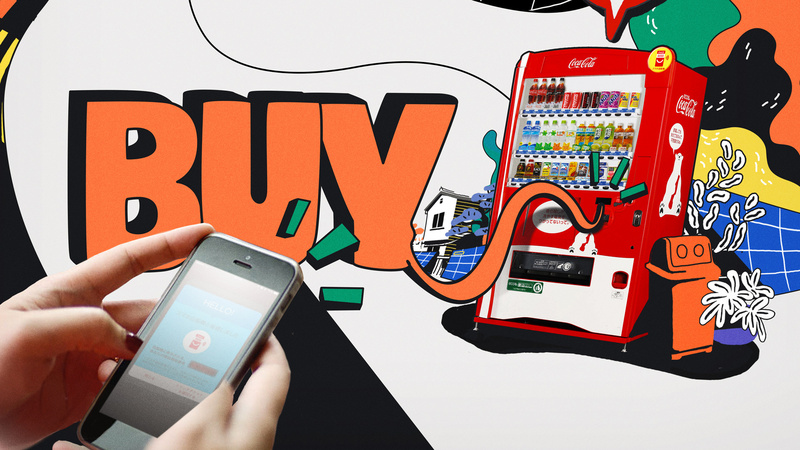 By turning on the app and placing the phone near the machine’s price display while making a purchase, the user receives a “stamp”. 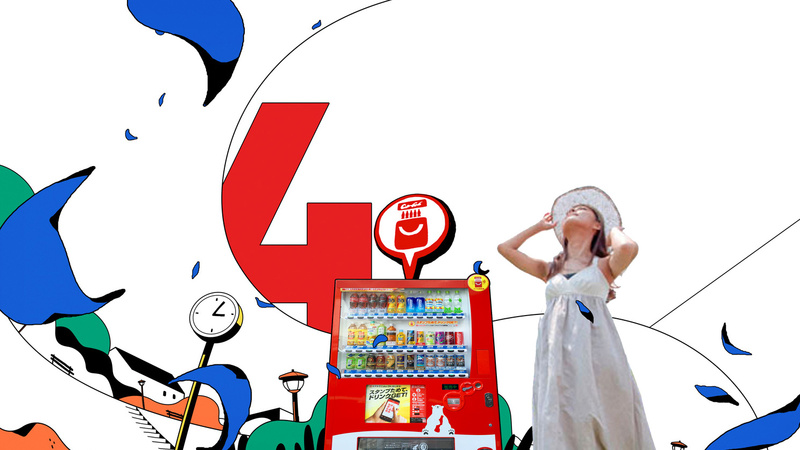 After collecting 15 stamps he or she can claim a free drink, which can be selected directly from the phone while standing in front of the vendor. 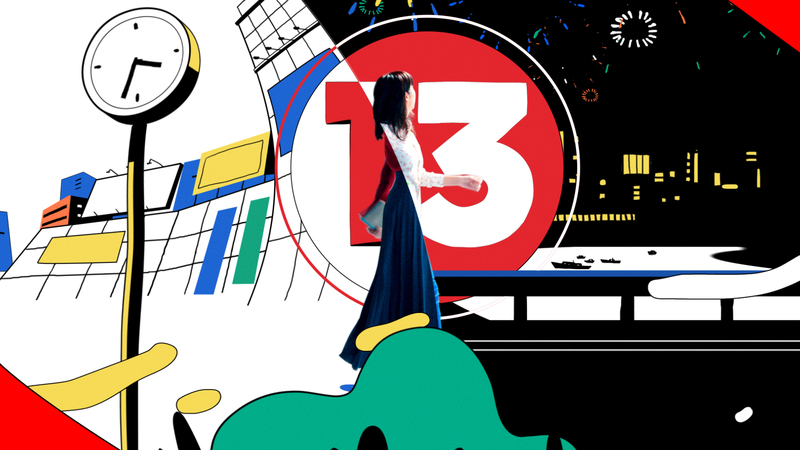 Japanese director Genki Ito took care of the live action part of the spot, while Lobo contributed animated graphics done in a bright, colorful 2D hand-drawn style, explaining the mechanics of the promotion and creating a wonderful, optimistic world for the human characters to inhabit.